The year was 2008, the place, Hyde Park in London UK. 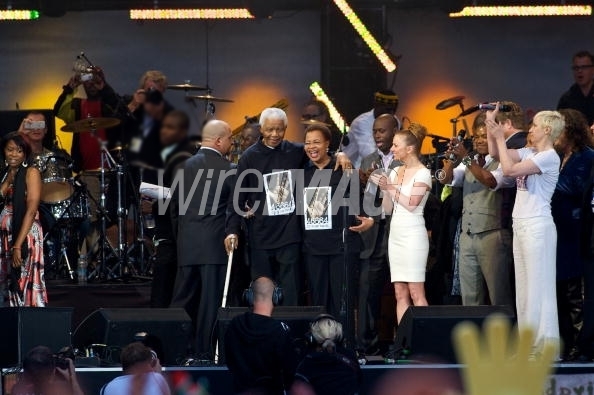 I had flown in from Los Angeles to London to attend Nelson Mandela’s 46664 birthday festivities and also to support my son’s father who was billed to perform that night. We had been in our trailer for what seemed like an hour when finally their security operatives came to call us. We made our way up to the backstage area where we waited for Mandela. They brought him by to meet us as we all joined him for the procession to the main stage where he was going to address the public. He was a bit frail and using a walking stick, but it never took away from how powerful his aura was. I stood there in awe as my eyes beheld this man, this icon, this legend. I listened to him speak, my heart getting touched by his every word. Seemed like a fairy tale. I grew up watching and reading countless films and written documents about him. It was like a dream I was not ready to wake up from. As we started walking forward, I looked to my left and standing beside me was Will Smith and his wife Jada. Trust a naija babe, I sharply gum body stand well next to them so we don’t get pushed back. 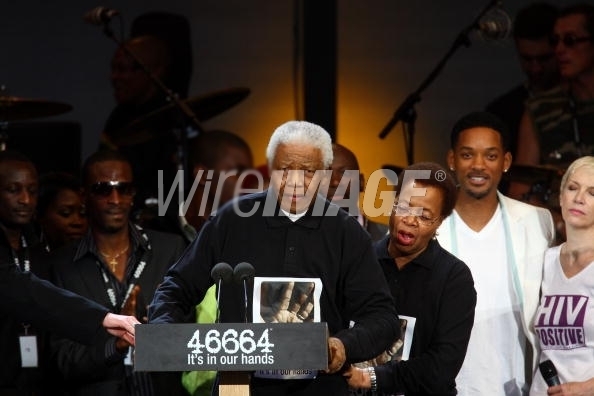 We made our way to the podium and my son’s father made his way to the front to stand next to Mandela. It was a super proud moment. I stood behind him, wishing, but not minding, that I had heels on (me sef wan show nau lol), but my 3 month pregnancy wasn’t permitting heels in that crowd. The crowd was massive. At some point I got nervous like I was the one who had to perform and face that crowd. 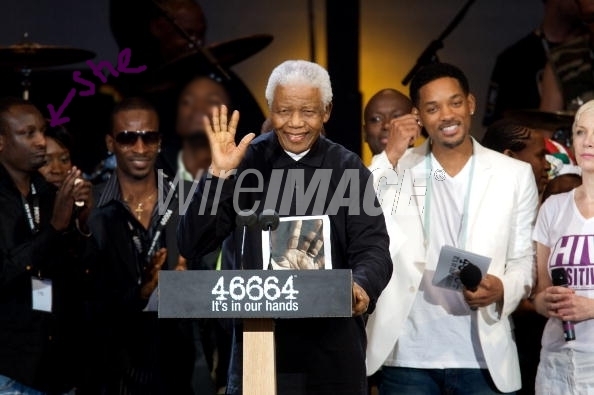 Mandela went ahead to give his speech and I can still remember my reaction to his every word. Words that inspire, words that motivate, words that make you want to be a better person. When he was done, his wife escorted him away from the stage and I stood there still in awe of his presence. I searched the web but the only picture i could find was the one above. Times like this I wish I had an iPhone back then. I would have taken countless pictures. I believe in life what will be will be. Never in a million years did I think I could ever meet Mandela (that’s what people like Oprah do right?) But I did and as he goes off on his journey home, I stand here proud to say I met Nelson Mandela. Next Check out this Photo. Can You see the eyes in the Sky? Wow! Always proud of everything you do. Always wanted to meet the legened but through your eyes I’ve met him already and that’s enough for me. R.I.P Nelson Mandela. What a moment for you and the father of ur baby. Though its pains he is no more but reading from Payne makes it more painful that I never met him.